A man sets out on an ordinary business trip to Valparaiso, Indiana. It turns out to be a mock-heroic journey toward identity and transcendence. This is Don DeLillo's second play, and it is funny, sharp, and deep-reaching. Its characters tend to have needs and desires shaped by the forces of broadcast technology. This is the way we talk to each other today. This is the way we tell each other things, in public, before listening millions, that we don't dare to say privately. Nothing is allowed to be unseen. Nothing remains unsaid. And everything melts repeatedly into something else, as if driven by the finger on the TV remote. This is also a play that makes obsessive poetry out of the language of routine airline announcements and the flow of endless information. 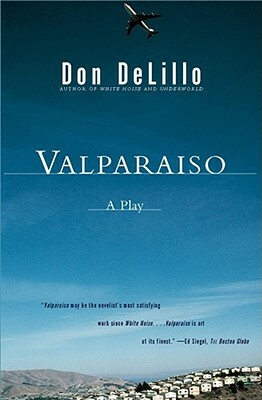 Valparaiso has been performed by the American Repertory Theatre in Cambridge, Massachusetts, and by the Steppenwolf Theatre Company in Chicago. Ed Siegel The boston Globe Valparaiso may be the novelist's most satisfying work since White Noise....Valparaiso is art at its finest. Kane Webb Arkansas Democrat Gazette [A] sugar rush of a story...Valparaiso is a terrific read.